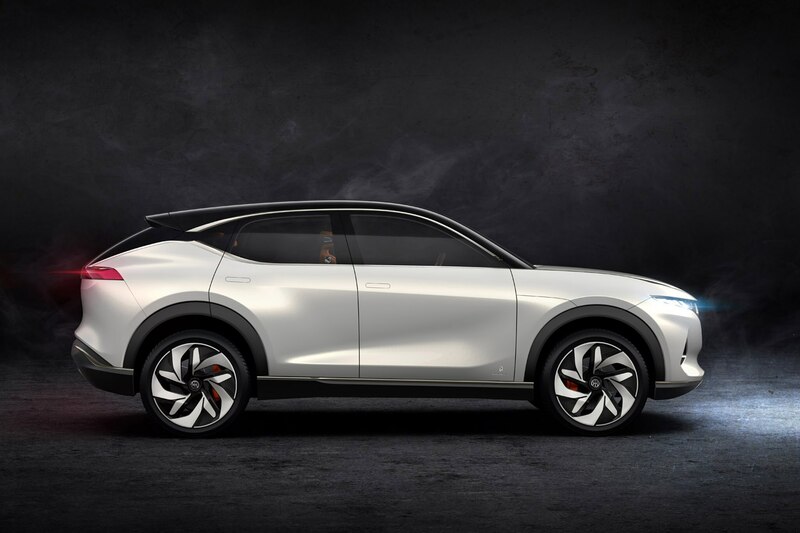 Pininfarina and Hybrid Kinetic Group (HKG) revealed two more elegant electric beauties in Beijing at Auto China 2018 this week—the H500 saloon and the K350 SUV. 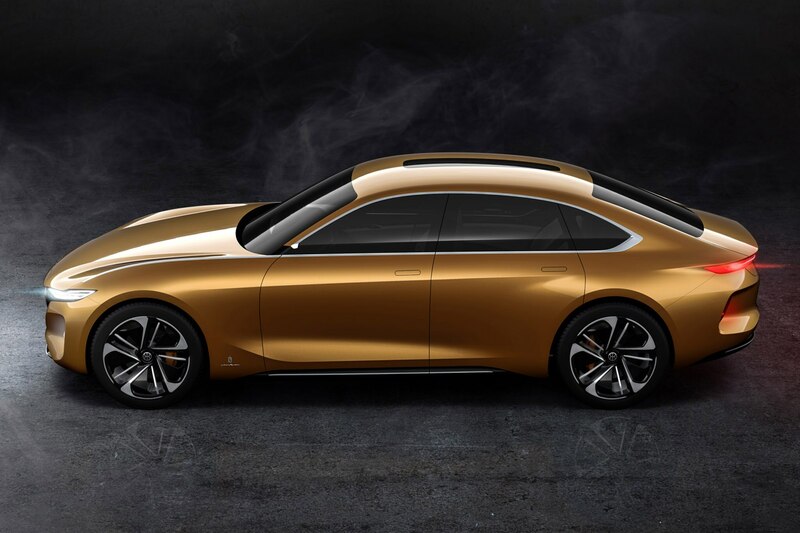 Its sleek, four-door sedan gets a golden shade of paint and features an interesting moonroof that’s about the size of a snowboard. 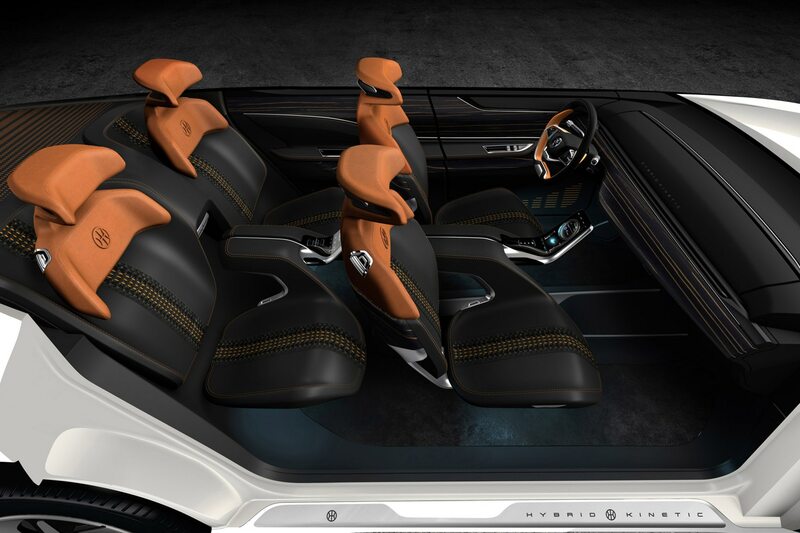 The small SUV concept sports silver paint and seats four in a cocoon of modern comfort. 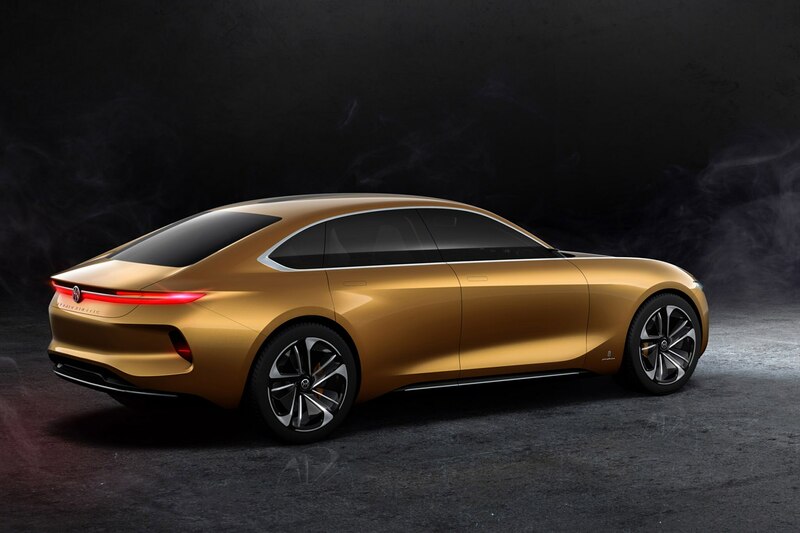 The Italian design house and Hong Kong-based partnership has yielded a half dozen concepts to date including a hydrogen track car called the H2 Speed. 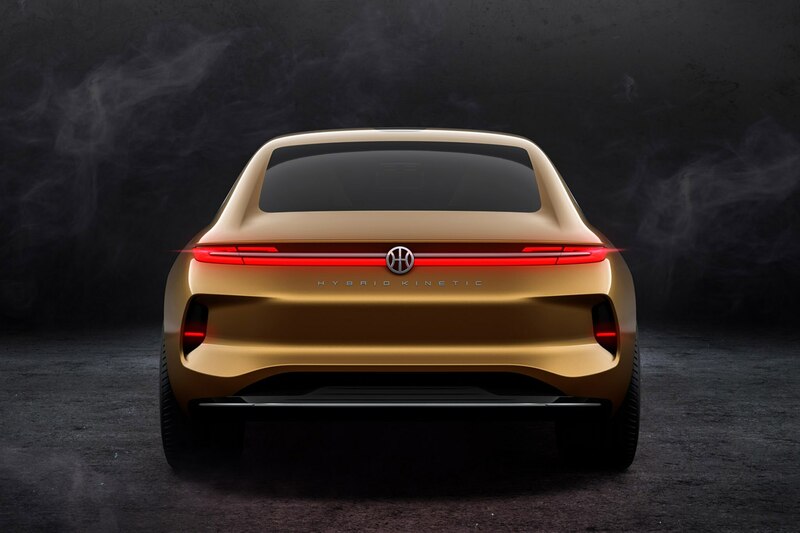 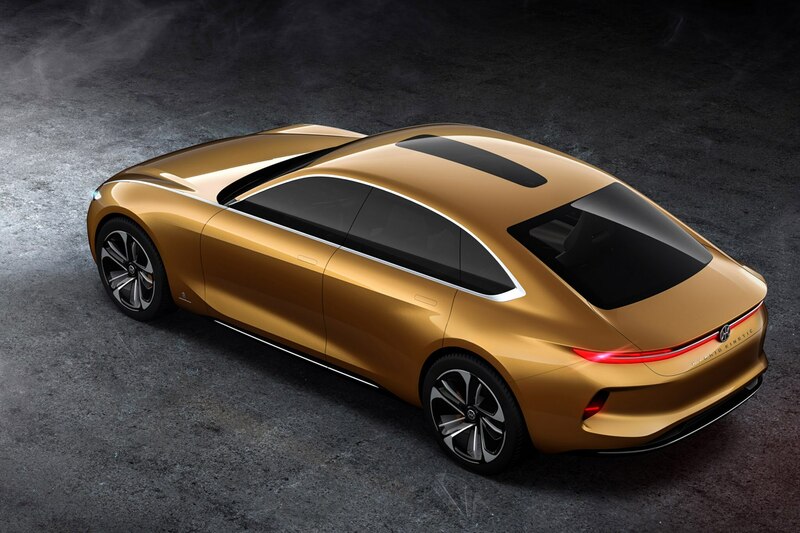 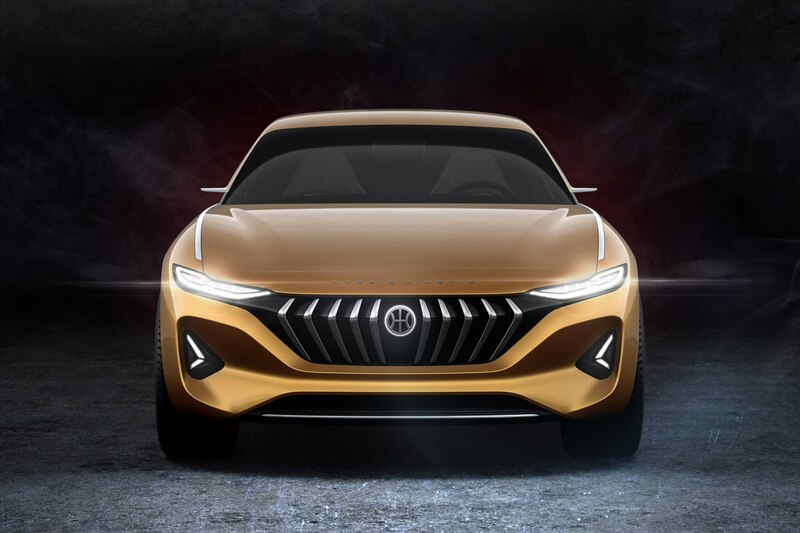 Its latest two EVs were shown along with the Hybrid Kinetic (HK) GT that we saw at this year’s Geneva Motor Show—the HK GT made its debut along side the H600 luxury sedan at that show. 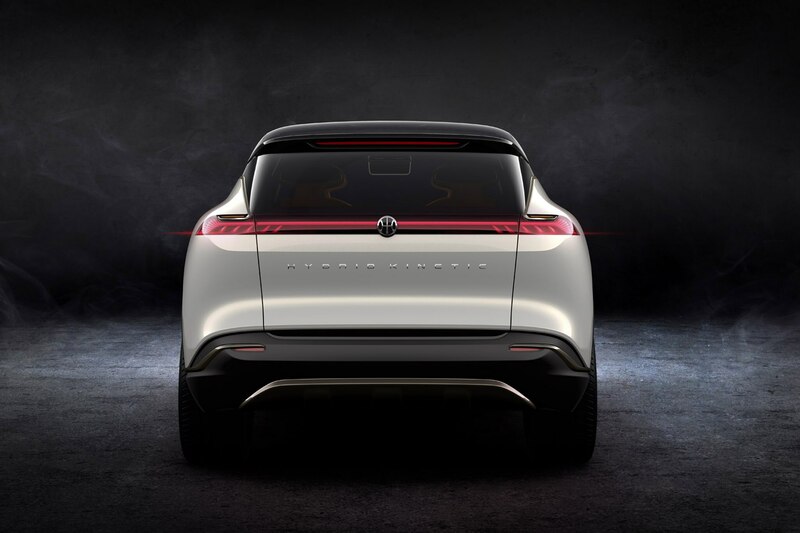 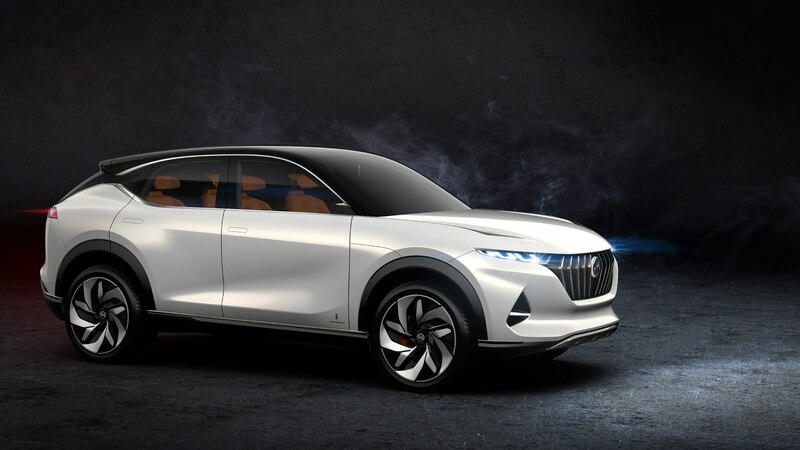 Last year, the collaboration between Pininfarina and HKG resulted in the K550 5-seater and K750 7-seater SUVs that were presented at the Shanghai Motor Show. 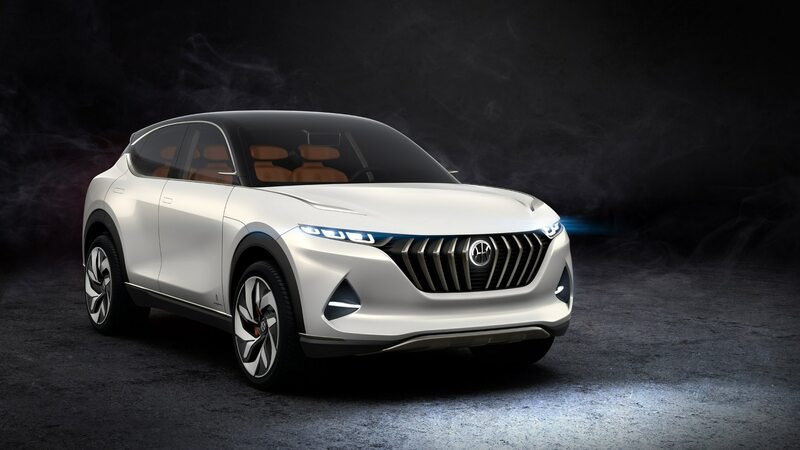 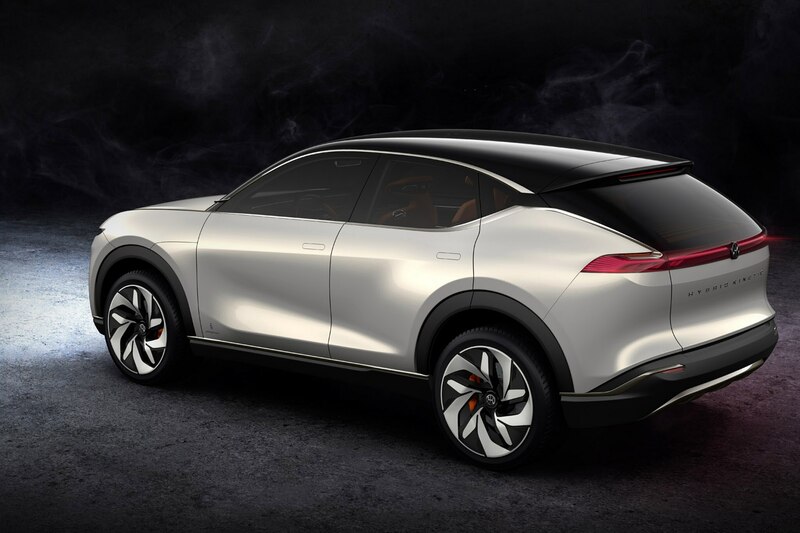 HK claims that its latest concept sedan and SUV’s battery and electric motor system have a combined power rating over 402 hp. 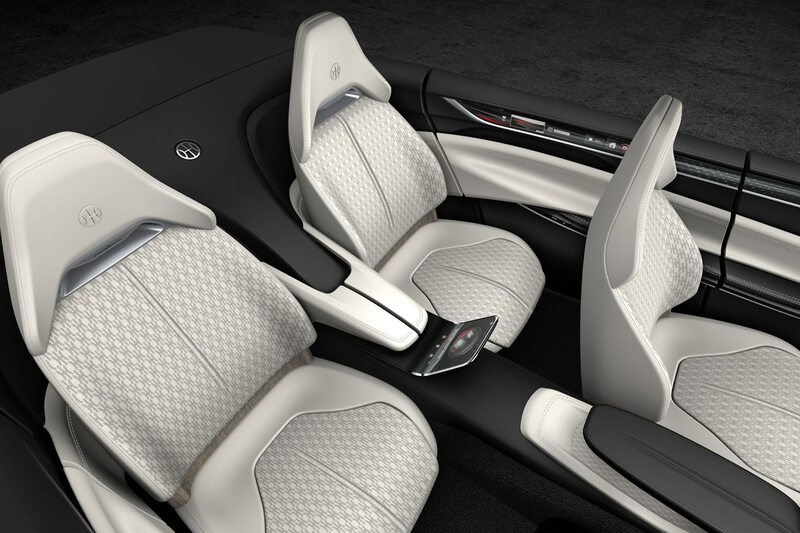 They offer an all-electric range of approximately 621 miles with an optional range extender. 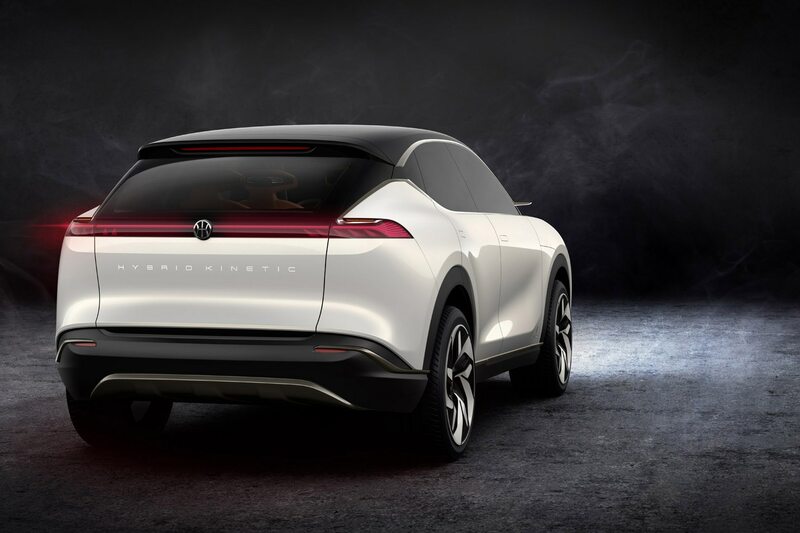 The new models have a top speed of 155 mph and the H500 saloon can zip from 0-62 mph in 4.5 seconds—while the K350 SUV can get there in a respectable 4.7 seconds. 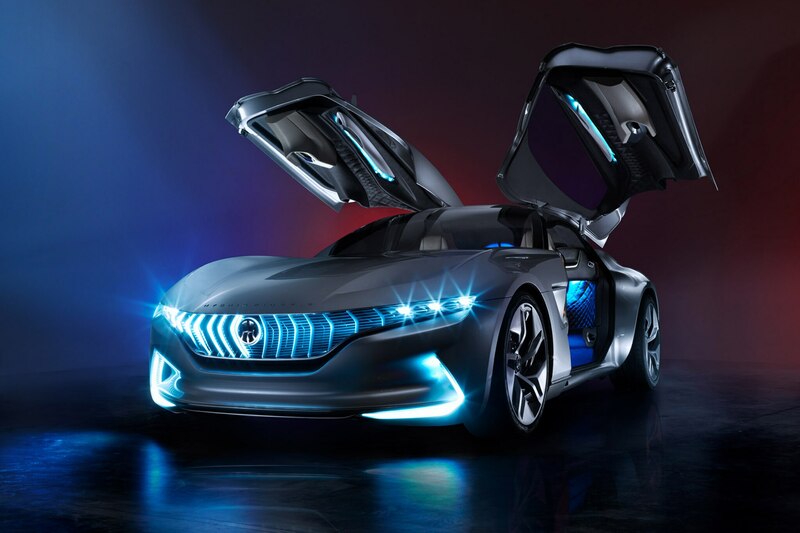 No other technical details were provided. 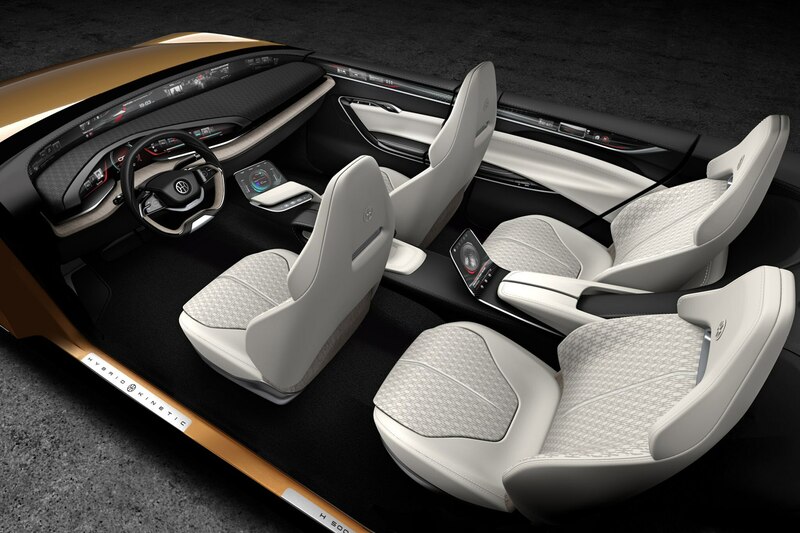 The interiors for both vehicles look incredible and feature floating touch screens for front and rear passengers. 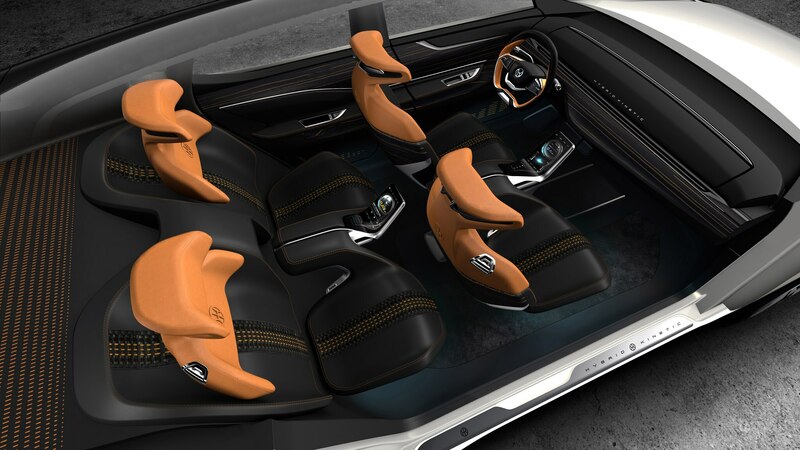 The H500 gets white leather bucket seats and a simple and modern dash with a curved display that stretches across and above it. 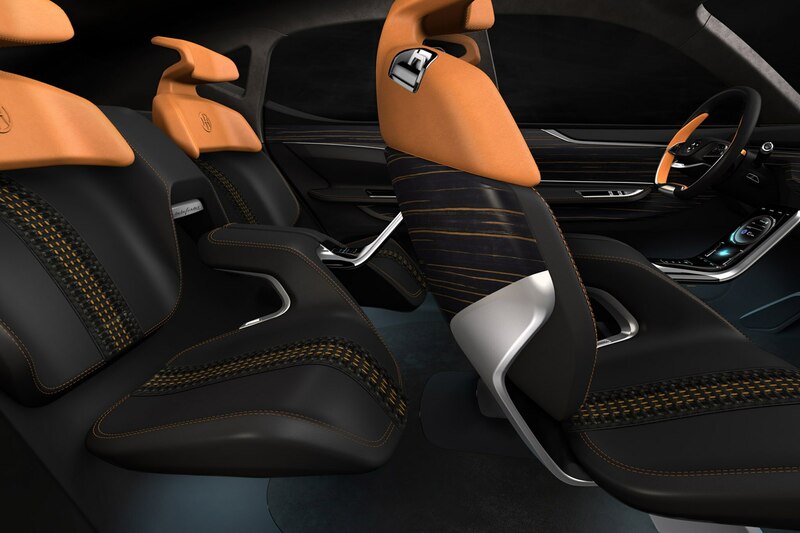 The K350 sports black and tan seats with centered stitching, raised headrests, and looks pretty snug. 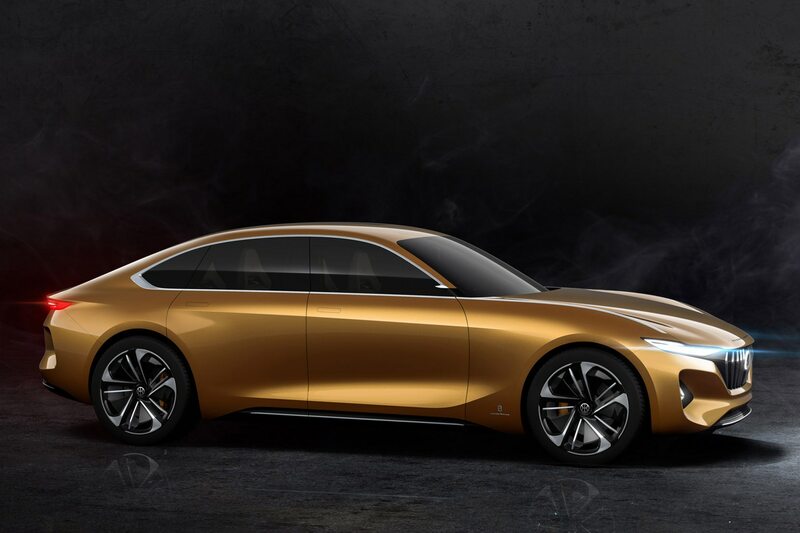 “Hybrid Kinetic Group is a sound, crucial partner for Pininfarina. 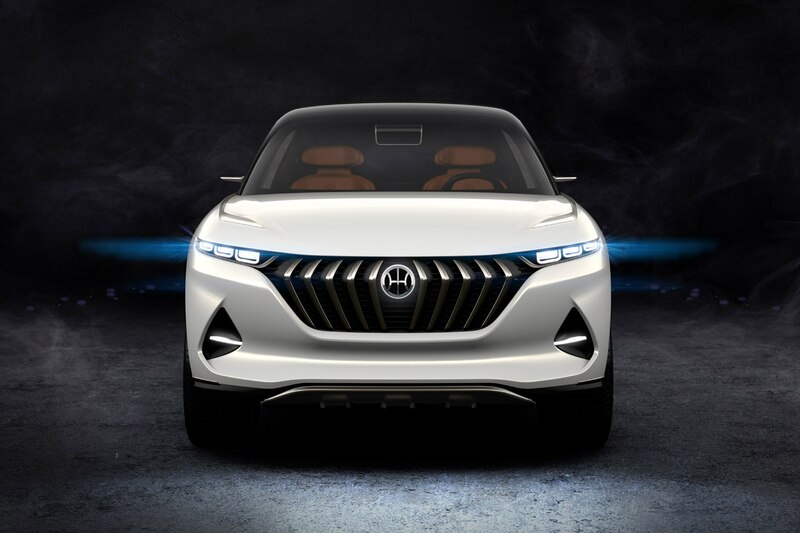 We are creating a new range of electric vehicles together and preparing the way for their commercial debut with the presentation of the first Hybrid Kinetic produced car for the international market,” said Silvio Pietro Angori, Pininfarina CEO, in a statement.